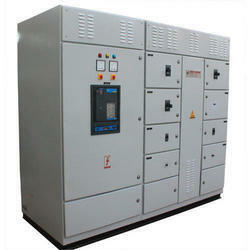 Our range of products include power distribution control panel, p3 controller system and controller system. We are recognized as one of the outstanding Electrical Low Tension Panels Suppliers in Mumbai, Maharashtra. The Electrical LT Panels are ideally designed to receiving power from source transformer or generator and distributing it through main feeders. Electrical LT Control Panels can be fabricated in both draw-out and non-draw out versions. Our design incorporates maximum system safety and reliability. • Designed for high fault-levels up to 50KA. • Provision of electrical and mechanical interlocking for security. • Strong resistance to weather corrosion as well elegant finish through powder-coating and seven-tank treatment process of enclosures. • Assembly of switchgear and bus bars ensures liberal spacing for cabling, access and maintenance. • PCC enclosures fabricated using strong CRCA sheet steel. • Customized for your space and project requirements and provisioning for future expansion requirements. we are the best supplier of Controller System .It is widely found that most of the time a commodity consumes more energy than required that directly affects its working life and also wastes a lot of energy. Our specifically designed P3 Controller System ensures reduction of supply voltage to a controlled and adjustable level allowing the equipment to operate at its optimum efficiency and thus lowering the power consumption. 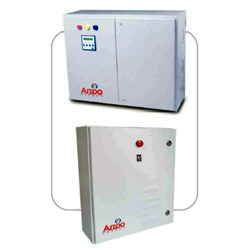 Additionally, our offered product is a perfect solution that accommodates future deterioration by ensuring safe and regulated supply voltage achieving exceptional savings and reduced carbon emissions. Our in-depth search of the modern market enables us to offer a broad range of Controller System. Our product is passed through various parameters in order to maintain its adherence to universally set norms. This product is broadly demanded for its premium quality, durability and sturdy construction that position our product far ahead of our competitors. Apart from this, our offered product can be purchased at industry leading rates.